In its latest 13F filing with the U.S. Securities and Exchange Commission, Appaloosa Management LP, led by David Tepper, disclosed its public equity portfolio holdings as of the end of the second quarter of 2015. According to the filing, billionaire Tepper, after ditching Apple Inc. (NASDAQ:AAPL) and numerous other high-profile U.S stocks during the fourth quarter, has added Apple Inc. (NASDAQ:AAPL) back to his portfolio. Appaloosa Management was founded in 1993 by Tepper and Jack Walton. The hedge fund manages about $16 billion, and invests in global public equity and fixed income markets. Tepper earned $3.5 billion in 2013, ranking him as one of the 25 Highest-Earning hedge fund managers of the year. Tepper had a strong focus on consumer discretionary and technology stocks as of the reporting period, and the value of his fund’s equity portfolio totaled $4.04 billion, down from the $5.07 billion it held at the end of the previous quarter. The top three tech holdings that earned Tepper’s trust during the second quarter were Apple Inc. (NASDAQ:AAPL), Google Inc (NASDAQ:GOOG), and Alibaba Group Holding Ltd (NYSE:BABA), and we’ll dig into them in this article. Hedge funds and other big money managers like Tepper tend to have the largest amounts of their capital invested in large and mega-cap stocks like Apple Inc. (NASDAQ:AAPL) because these companies allow for much greater capital allocation. That’s why if we take a look at the most popular stocks among funds, we won’t find any mid- or small-cap stocks there. However, our backtests of hedge funds’ equity portfolios between 1999 and 2012 revealed that the 50 most popular stocks among hedge funds underperformed the market by seven basis points per month, showing that their most popular picks and the ones that received the bulk of their capital were not actually their best picks. On the other hand, their top small-cap picks performed considerably better, outperforming the market by 95 basis points per month. This was confirmed through backtesting and in forward tests of our small-cap strategy since August 2012. The strategy, which involves imitating the 15 most popular small-cap picks among hedge funds has provided gains of 118%, beating the broader market by over 60 percentage points through early August 2015 (see the details). Perhaps the most interesting aspect of Tepper’s renewed position in Apple is that it’s even more bullish than it was before. Tepper added 2.52 million shares of the iPhone manufacturer to his portfolio, with the stake being worth $315.84 million as of June 30. The stake Tepper sold in the fourth quarter was only valued at $116.94 million entering that quarter. 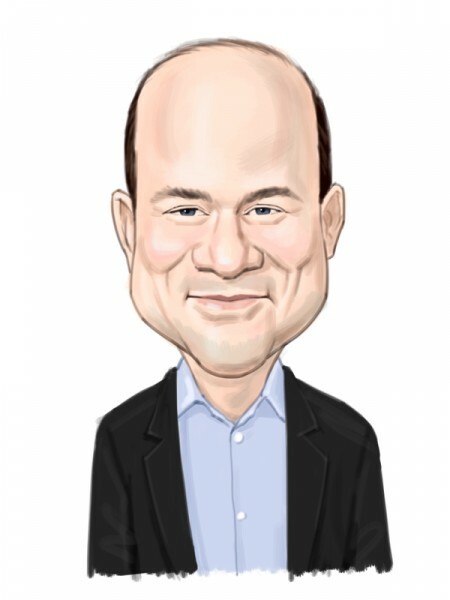 Unfortunately for Tepper, he appears to have poorly timed his exit and reentry into the stock, as he missed Apple’s strong first quarter and is now suffering through the stock’s somewhat unexpected downturn. The tech giant’s stock has fallen by 11.2% since July 20 and one of the many reasons for Apple Inc. (NASDAQ:APPL)’s stock pullback is its third quarter earnings report. Even though the EPS of $1.85, total sales of some $50 billion, and 39.7% gross margins all came in above analysts’ estimates, the underwhelming iPhone unit sales of 47.4 million, which were well below analysts’ estimates, appear to be a prime reason for the pullback, as iPhone sales are effectively the main (some would argue only) thing going for Apple at the moment. Carl Icahn‘s Icahn Capital LP remains the largest shareholder of Apple Inc. (NASDAQ:AAPL) among the investors we track, holding 52.76 million shares valued at $6.62 billion at the end of June.